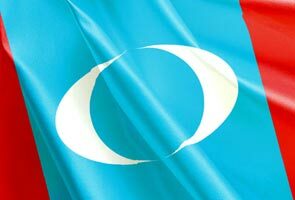 PKR will hold its 10th National Congress from Aug 22 to 24 at Stadium Malawati, Shah Alam involving 3,740 delegates from 220 party branches nationwide. KUALA LUMPUR: Bukit Katil MP Shamsul Iskandar Mohd Akin and Pandan MP Rafizi Ramli have both filled in the remaining PKR vice-presidents’ posts. The other two are being filled by incumbents Nurul Izzah Anwar, the Lembah Pantai MP and Batu MP Tian Chua. The unofficial results of the PKR elections which began in March, showed Nurul Izzah garnering 28,792 votes followed by Tian Chua (21,421), Shamsul Iskandar (19,828) and Rafizi (18,885). The official results will be announced during the PKR congress slated for Aug 22 in Shah Alam. Unofficial results also show that Gombak MP Mohamed Azmin Ali has retained his post as PKR deputy president after obtaining 22,557 votes, defeating the party’s secretary-general Datuk Saifuddin Nasution Ismail, who garnered 10,742 votes. Another candidate who had been in the deputy presidential race, Tan Sri Abdul Khalid Ibrahim had been disqualified after he was expelled from the party on Saturday. Meanwhile, PKR Youth will soon get a new leader when Batu Caves assemblyman Amirudin Shari wins the post against Sri Setia assemblyman, Nik Nazmi Nik Ahmad and PKR Youth vice-chief Nazree Yunus. Unofficial results show Amuridin obtaining a hairline victory with 4,247 votes, Nik Nazmi (4,207) and Nazree (2,195). Ampang MP Zuraida Kamaruddin retains her position as Wanita PKR chief with 9,382 votes against Batu Tiga assemblyman, Rodziah Ismail, who bagged 8,638 votes. “All the 220 registered branches have conducted their annual meeting and are eligible to attend the congress this time around,” Saifuddin said at a press conference on Aug 4. He said the congress will also include the annual meetings of the PKR Youth and Wanita wings. Apart from inviting some 200 special delegates from foreign embassies, NGOs, Pakatan Rakyat leaders, MPs and assemblymen, PKR is also planning to hold a Hari Raya open house on the last day of the congress.